Do Nice Women Finish Last? I Ain't One Of Your Little Friends...So Put Some #Respect On My Name. "No One Likes Us? We Don't Care!" Why #Philly is NOT the "Sixth Borough" of New York City. #2019Goals: New Year, New You, New Us! Single at the Holidays: What *do* the lonely do? In this episode, we tell you a little bit about how this podcast got started, who we all are (sort of) why we're so tired all the time, and what we plan to do about that. Hey--how can we claim to know how to do *anything* at all if we don't acknowledge Caturday? Right? So, let's kick this podcast off with a nod to the BEST day of the week! Juanita, Johanna, Kamili, and Karima launch their new podcast by sharing some good thoughts and a toast to the future! All content © 2019 We Know How To Do This! 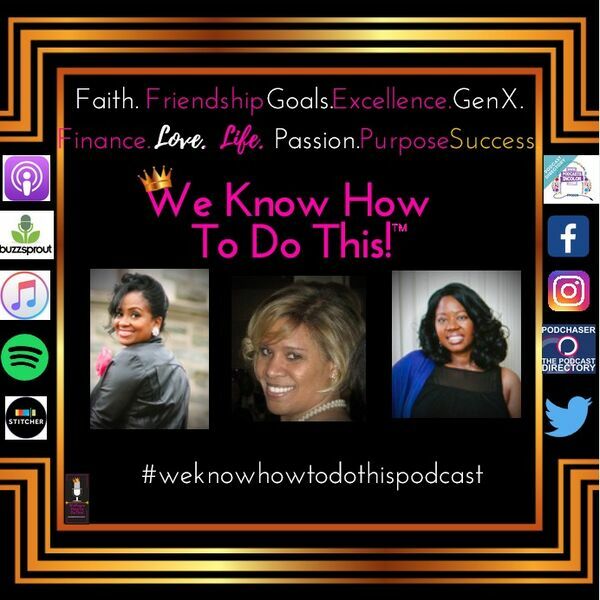 (A podcast for those who know how to "make it do what it do...").